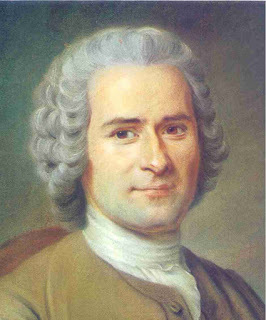 Sometimes it may seem like Jean-Jeacques Rousseau (1712 - 1778) is still alive and perhaps the most timely philosopher we ‘ve got. “Be yourself”, or “back to nature” are slogans that are doing well and that could easily be led back to Rousseau. And something more serious but no less fashionable: the desire to get behind the appearance of things in order to discover the authentic core of one’s true identity, whether rooted in a tradition or not. With his emphasis on the True Self, Rousseau may be called paradigmatic for a distinctly Western preoccupation with the Self, also in newborn Jews or Christians and nowadays in Muslims as well. But contemporary commentators make it clear that this actuality of Rousseau is for the most part illusory. Because the collective pursuit of authenticity empties that aspiration of meaning to the degree that inauthenticity remains. “Once you try to be authentic you start playing authenticity, and you are no longer yourself in a relaxed way” says Wilfred van de Poll. After God and religious traditions had disappeared already as absolute values, it is now the turn to the belief in an authentic self à la Rousseau to disappear. This removes our last beacon of absoluteness, after postmodernism ‘pretending’ is the only thing we have got left. Actually, no contemporary philosopher yet believes in the absoluteness of anything. No one? Well, one - yet very French - philosopher tries hard to uphold, in the midst of postmodernist violence, at least something of an absolute value. But in order to do so he has to give a radical twist to that absoluteness. That is no longer – as was the case for centuries with Rousseau as a highlight – the Self, but the Other. Because according to him, the other sometimes appears to us in a way that can not be contradicted, that is to say: absolutely. The philosopher who makes this turn is Levinas, and the radical nature of his orientation becomes visible as Levinas with regard to various themes ends up at positions that are contrary to those of Rousseau. For example when it comes to the valuation of reason and the appreciation of technology. Rousseau , although he was a philosopher, manages to embrace a romantic anti-intellectualism. He may even seduce us to stop thinking. He does so through his emphasis on authenticity and on the idea that reason robs us of an originally given innate purity. This idea is entirely foreign to Levinas. 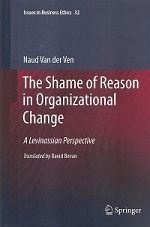 Indeed, Levinas formulates important objections against reason, but the last thing he propagates is to stop thinking. On the contrary, we should strengthen our thoughts, and let them be corrected through confrontations with the other. In line with that position Levinas has an optimistic view of technology and science, unlike Rousseau who accuses science and technology of alienating man from his original self, the reflection of which he believes to find in primitive peoples and noble savages. Really, nothing could be further from Levinas than that. And actually nothing is further from Jewish tradition than that idea of Rousseau.